Shop our selection of custom printed Track and Running Singlets. 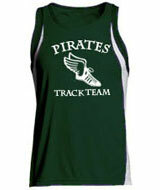 You can have your team colors, branding or company logo printed on to any of our Track Shirts and Sleeveless Shirts. Each garment is manufactured with PURE-tech for permanent wicking performance every time. All garments feature two-needle double stitch and four-thread overlock stitching for reinforced seams. The high-contrast side panels on these shirts make them a good choice for your events. 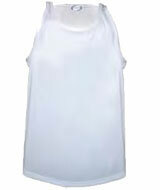 They have a breathable micro mesh around the armholes and contain a shelf liner. It's ultra tight knit helps prevent snagging. After ordering, you will be able to upload your artwork. If you need higher quantities or multiple color/size combinations, Call 800-978-4299 or fill out our quote form to contact one of our Customer Service Representatives. 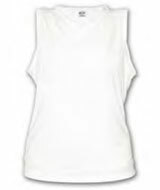 Comfortable and light weight, the micro performance singlet has two-needle double-stitch seams and four-thread over-lock for an extra strength hem. 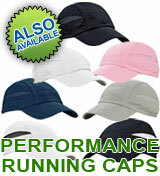 100% spun polyester with two needle double stitch seams and four thread over-lock for extra strength. Comfortable and light-weight.